-- Have you ever wondered how you would feel if you were responsible for saving the world from its inevitable end? An enormous burden for sure. Tokutei, Lian, Surya, Jason and Dan will soon learn exactly what that feeling tastes. In Book 0 you learned the story behind each member. Now you’re going to see them together in action. When the team comes to San Francisco, they soon learn that the way to stop the end of the world is not an easy one. They need to find five pieces of the Seal of Solomon, and the very first piece is held by a powerful vampire - Reiz. Read through the adventure of these six people. Feel the action and emotions. Love the characters, get your mind twisted by unforgettable flashbacks. This is a book that you will not easily forget. 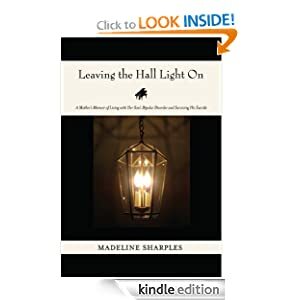 -- Leaving the Hall Light On: A Mother's Memoir of Living with Her Son's Bipolar Disorder and Surviving His Suicide charts the near-destruction of one middle-class family whose son committed suicide after a seven-year struggle with bipolar disorder. Madeline Sharples, author, poet and web journalist, goes deep into her own well of grief to describe her anger, frustration and guilt. She describes many attempts -- some successful, some not -- to have her son committed to hospital and to keep him on his medication. The book also charts her and her family's redemption, how she considered suicide herself, and ultimately, her decision live and take care of herself as a woman, wife, mother and writer. Pandora Latham was just a country girl from Alabama turned Kuiper Belt Miner. The last thing Pandi expected was to run into a ship from the future on the outskirts of Sol system. Even less expected was that the ship would fall apart while she was inside it, the Universe correcting the paradox. 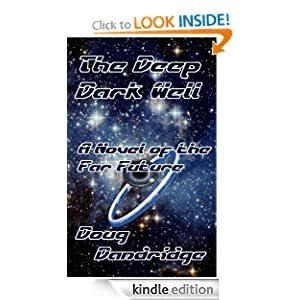 The wormhole in the center of the ship beckoned, and Pandi jumped through, forty thousand years into the future. She arrived on a massive station built around a black hole. Once the center of a Galactic Civilization, the station was used to generate wormhole gates linking the Cosmos. The empty station is a memorial to the civilization that once was. One survivor, an immortal being called Watcher, remains, guarding the secrets of the station from those who covet its advanced technology. Watcher, lonely from his self-enforced exile, befriends Pandi. Soon the woman from Alabama discovers that there is more to Watcher than is apparent on the surface. What was Watcher's part in the fall of civilization? The answer to this question will determine whether Pandora Latham survives in this world, or becomes just one more death added to the trillions who went before her. Grand adventure in the tradition of Larry Niven and Poul Anderson, set in a far future in which many struggle for supremacy, and one woman from the past will decide the winner. Love, obsession, and betrayal, the most powerful human emotions, are spun together in this gothic novel. Tandie Harrison is a path seeker, a medicine woman that can travel through time by channeling other spirits. After losing her psychic visions in a car accident, she moves into the alluring plantation house, Chelby Rose, and falls for its charismatic caretaker, Eric Fontalvo. 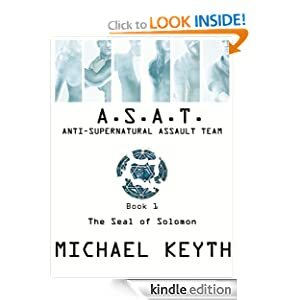 Their burgeoning affair ignites a centuries old curse, ensnaring them in a web of danger, deceit, and intrigue. Soon Tandie learns that in placid Bolivia, the mystical worlds of the living and the dead are dangerously connected. 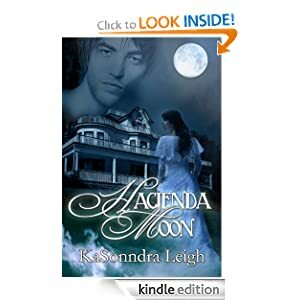 A gothic romance you won't want to put down. This book is full of ghosties, bumpities, psychic visions, and ahhhhh!! SPIDERS!!! There's also a bit of swoon in it, too! Cassandra Connelly looks like a normal twenty-four-year-old girl. She seems sweet and shy. She works hard in two jobs and still finds time to do volunteer work. Nonetheless, there's something wrong within her. She has a lot of anger boiling inside, and a very problematic past, making her a dark, twisted woman. She hides her true self from the world, but there's someone Cassandra hates so much, she has been thinking of doing something unspeakable: killing this person. To her, killing this person is absolutely necessary, for he or she should not be alive. However, since she is still not sure about doing it or not, she seeks help. 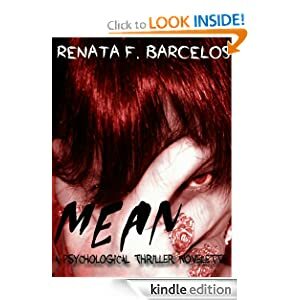 She goes to a psychiatrist in order to make a decision: should she continue hiding her meanness and being a normal girl, or should she let the meanness win and kill this person she believes deserves to die? In this contemporary piece of fiction, we'll find out how badly child abuse and a dysfunctional family can transform a life for worse, much worse. 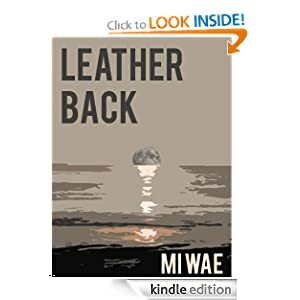 -- Leatherback is more than a story of a turtle that comes to a beach in Wales and makes a nest. Sure that happens and the nest becomes a source of obsession to Margarethe. But while noone believes her story, Margarethe is left to reminisce, drink, hallucinate, meet new colourful characters, reminisce some more and drink some more. It emerges that the novel Leatherback is about more than just the nest of turtle eggs but it's about survival, travel, betrayl, longing, nature, motherhood and family.